My aim is to put you at ease and get to know a bit more about you. After a few questions I will set you up to be comfortably lying on the massage table. I create an environment which is very relaxing – soft music playing, dimmed lights and the smell of aromatherapy oils drifting around the room. On the first session I usually work only on the feet. Balm is applied and I start the session with relaxation techniques. 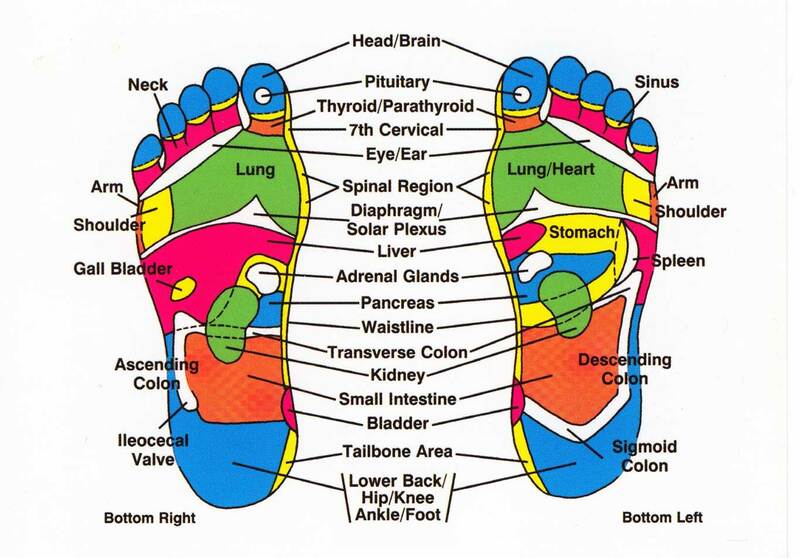 If I feel a tight area or you notice an area of tenderness I will concentrate a bit more on it, as in Reflexology that is where we say you are holding tension in your body. You will notice the pressure used is firm but also soothing. Clients often drift off, enjoying the sensation which is deeply relaxing. After the session I gently bring you back to reality and give you a glass of lemon water. 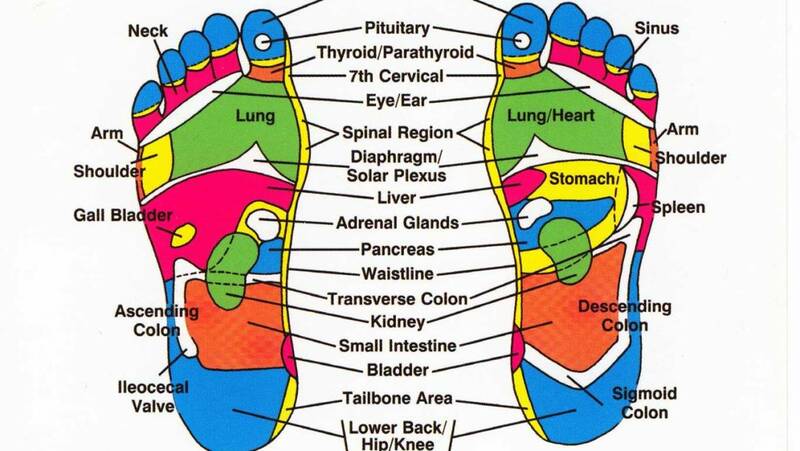 I then show you the areas I found tension in and what they relate to on the foot chart. Every visit is recorded and I always ask you to take notice of how you feel for the days following your treatment. I may show you some homework of hand reflexology, to support the ongoing benefits of this wonderful therapy. Many people report renewed energy levels, improved sleep quality and a wonderful feeling of wellbeing, as well as a reduction in pain and a better functioning digestive system. However, never underestimate the power of energy work. The body has an amazing way of getting rid of toxins and trying to stay in homeostasis/balance. Sometimes you may feel a bit tired or have increased urine and bowel movements. My advice is always to drink plenty of water and know that your body is doing what it should to promote wellbeing. Make the most of your treatment by having an easy day if you can, be kind to yourself, take a bath and relax. Always take note of how you feel so you can report back during your next session.